You already know I’m a space junkie. One of my former colleagues at JPL got a mission to Pluto up and running — the only planet we haven’t sent a probe to yet. It’s tough these days to get probes built and launched, not because of technology but politics. 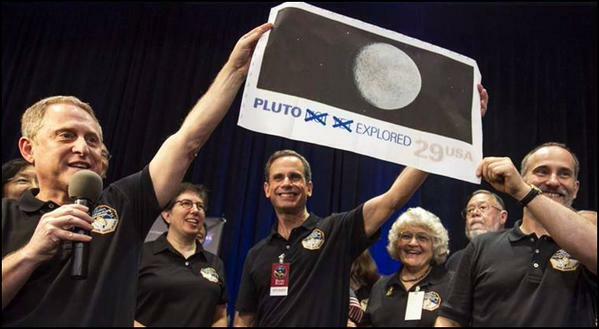 A reporter once asked my friend “What is the most difficult part of the mission to Pluto?” He said that was easy: “the part from here to Washington.” He was too right: the mission was canceled because, Washington says, at $800 million it was over budget. In a development that I think is healthy, several teams bid for it, which helps drive costs down. A team led by the Boulder branch of the Southwest Research Institute won, and it includes a flyby of the unexplored Kuiper Belt just beyond Pluto. I attended a very interesting briefing by the mission’s Principal Investigator, Dr. Alan Stern. They’re now at a critical stage: you guessed it, the government wants to cancel it again! The mission is conspicuously absent from the 2003 Bush budget. There are great reasons for getting going now: as Pluto moves away from the sun in its orbit, its atmosphere will freeze and fall as snow, and it won’t be warm enough to revaporize it until Pluto gets close to the sun again — in about 200 years! Worse, because Pluto is tilted so far on its axis, as it gets further out more and more of its northern hemisphere will be shadowed. So if we want to SEE it within the next 200+ years, we must get going soon. Understanding the origins of our solar system is worth less than half the cost of a B-2 bomber or, to bring it closer to home, about a quarter of what Americans spent on Easter candy this year. Join me in supporting the mission to Pluto. Still, Alan Stern, the Principal Investigator for the Pluto mission, appreciated my drumming up public support for the project. I was quite surprised that he not only remembered it after all this time, but wanted to show his appreciation for it in a very special way: my wife and I were among his invited guests to watch the launch of the spacecraft toward Pluto. Randy and Kit enjoyed meeting Patsy Tombaugh, Clyde’s very sharp 93-year-old widow (Clyde, who discovered Pluto in 1930, died in 1997). Just after the launch, insiders learned that a capsule of Clyde’s ashes are aboard the spacecraft, on the way to Pluto. 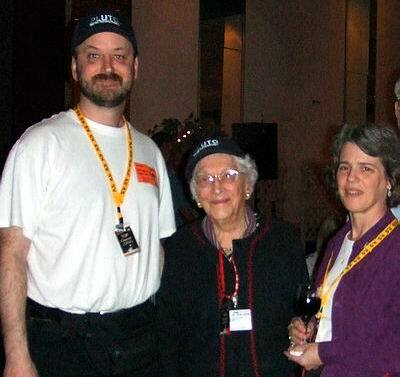 Patsy died January 12, 2012 — before the probe arrived at Pluto. It was spectacular: the Atlas V rocket leaped off the pad, rising much faster than even the Shuttle. They used a big rocket: 2.5 million pounds of thrust to lift a mere 1,050 lb spacecraft. Why? Because it needs to move fast to get to Pluto in a reasonable amount of time. In fact, New Horizons to Pluto will be the fastest man-made object ever, cruising at 47,000 mph once it gets a 4 kps gravity assist from Jupiter [see clarification in the comments]. But because Pluto is three billion miles away, even at that speed it’s still going to take over nine years to get there! I spent 10 years working at NASA’s Jet Propulsion Laboratory, but never got to go to a launch. This mission is not managed by JPL, but rather by the Southwest Research Institute, and the payload was not built by JPL, but rather by the Applied Physics Laboratory at Johns Hopkins University. I think it’s terrific that the space game is being “widened” from NASA, and hope that trend continues. It’s about time we understood our own solar system better. 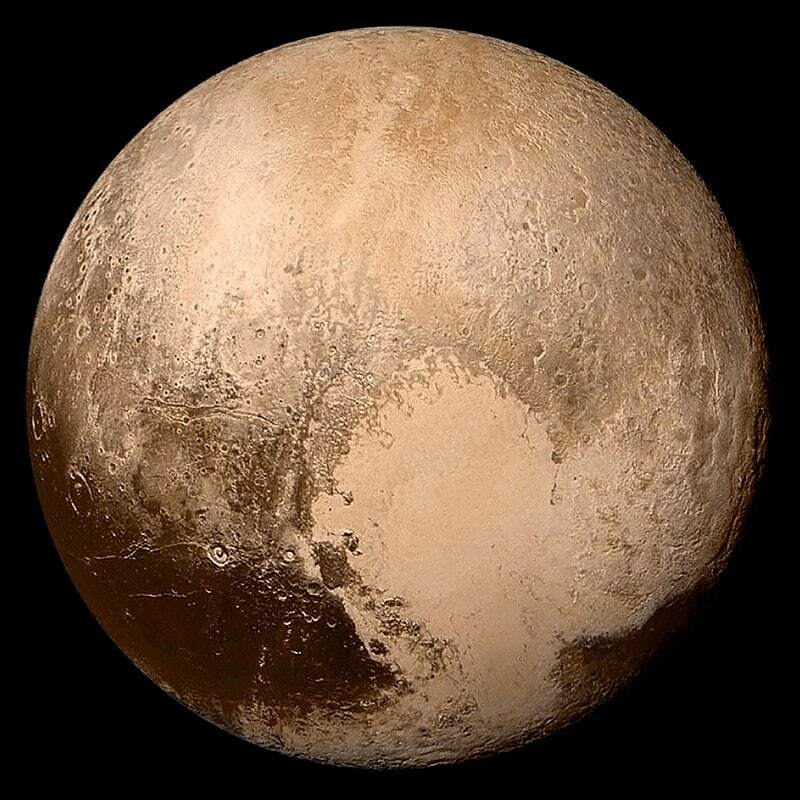 If indeed there are 1,000 Pluto-like, Pluto-sized planets out there, it’s not only time to understand them, but to realize that Pluto isn’t an icy anomaly; rather, it would be the norm for planets in our solar system, and wet, warm Earth would be the real anomaly. It’s very, very cool to witness a rocket launch. But it’s even better to stand around and talk with the type of nerdy people who go to rocket launches! You hear all sorts of interesting stories. 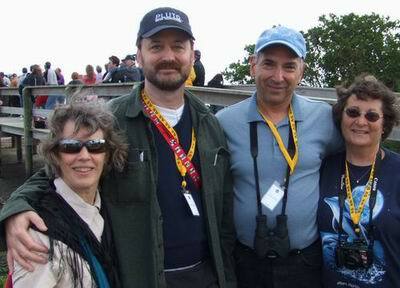 Who’s Who in Space: It was our privilege to sit next to David and Wendee Levy for the launch. Sure you know Dr. Levy! He has discovered or co-discovered 21 comets and 41 asteroids, including the Shoemaker-Levy Comet which smashed into Jupiter in 1994. One story I already knew: JPL’s version of the Pluto mission got started when the U.S. Postal Service unveiled a new set of stamps, on 1 October 1991, at the Jet Propulsion Laboratory. The set of ten stamps showed the nine planets (plus our moon) and a shot of the main spacecraft that had visited it. They were unveiled at JPL since the Lab has primary responsibility for the robotic spacecraft sent to explore our solar system. I still worked there; I remember it well, and remember being troubled by one glaring detail on the stamps. That really irked Rob Staehle of JPL. Rob was my first project boss when I was hired, and he went from the stamp unveiling to a colleague’s office to talk about starting a Pluto mission. Later, when Rob got the formal go-ahead to start the mission plans, he called Pluto’s discoverer, Clyde Tombaugh, on the phone and asked for permission to visit “his planet”! That version of the mission was later canceled for political reasons, and here’s the part of the story I didn’t know until I got to Cape Canaveral for the launch: Astronomer David Levy (see photo above) was Tombaugh’s biographer, and Rob and I were at his table at a pre-launch party when he told the story of how some guy at JPL had called Clyde for permission to go to Pluto, and how touched he was to be asked for “permission.” And sure enough, that was Rob, and he was able to fill in the details for David. It was the first Rob had heard how touched Clyde was by the gesture. It’s also classy to invite the Tombaugh family to the launch. Not just Patsy, his widow, but also his children and their spouses. I assume that was Alan Stern’s idea; he did a great job of remembering people who made an impact on the mission. In other words, there are a lot of classy people in the space business. We met lots of other interesting people while sitting around waiting for the weather to clear so they could launch. I already knew Alan Stern, the Principal Investigator of the mission, who invited us to the launch, but it was nice to see him again and, after the launch, personally congratulate him on the nearly perfect start to the mission. It was generous of such a busy, busy man to remember and greet us. Dr. Rick Shope, an educator from JPL who teaches teachers how to connect the space program to their students with kinesthetic learning tools, using interesting tools of his own: he’s a mime who studied with Marcel Marceau. I like telling people, “That’s not rocket science — and as a guy who worked at the Jet Propulsion Laboratory for 10 years, I should know.” Yet this really was rocket science, and the people who do this sort of work for a living are fantastic to talk to. I enjoyed it for 10 years, and I’m incredibly privileged to still be able to do it now and then. My congratulations to the many men and women who had a part in hurtling some cameras and instruments to another uncharted spot in our sky. After nine and a half years, New Horizons zoomed by Pluto. They couldn’t stop and go into orbit: to get there in that amount of time, it needed to fly at 47,000 mph, and there was no way to pack in enough fuel to slow it down enough to stay. Still, New Horizons is expected to gather about 5,000 times as much data at Pluto as Mariner did at Mars. And after that amount of time and three billion miles of flight, it arrived within one second of the time estimated at launch time, and came within 7,000 miles of Pluto’s surface after traveling 3 billion miles. Pluto is currently more than four light-hours from Earth (and moving away). That means the spacecraft’s radio signal, which goes the speed of light (186,000 miles per second), takes more than four hours to arrive here, 3+ billion miles away. When the spacecraft takes a photo, the compressed image is about 2.5 mb in size. With the data rate available at that distance (about 125 bytes/second), it takes about 20 minutes for each photo to be transmitted. That’s why it will take 16 months to get back all the photos from the flyby. That won’t be the end of its mission, though: we know little about the Kuiper Belt just beyond Pluto, so New Horizons will be taking more photos, and using its other scientific instrument packages, to learn more about the thousands of bodies there as it speeds past. I didn’t know you were involved in New Horizon. I and my family are on board on the CD. I think that’s an important point. What politician wants to fund something that won’t pay off for a decade? It won’t get them any votes in the next election, not nearly as much as something short term that’ll pay off during their current term. The transmit rate from Pluto is like sending the high-res images via an old 150 baud acoustic coupler! Remember those? Did the probe (or did we know it already?) provide any insight to why Pluto’s orbit is off-plane with respect to the rest of the planets? Let’s look up and try to figure out what we want to be instead of picking fights with each other. pluto was and always will be a planet. the minority who made the ridiculous redefinition after most real astronomers went home now again look ridiculous as the fly by reveals pluto is larger than those idiots thought. anyone can ‘redefine’ that the sky is actually green and grass is blue. that doesn’t make it so. Thank you for sharing this incredible experience with us and for the background to such an awesome event. I am amazed that they were so accurate in predicting the fly-by time. I don’t think I could do that for any event nearly 10 years in the future with who knows what obstacles might crop up over the course of those years. Wayne in UK, glad you pointed out that Terra and Luna are a binary planet system. I remember reading that in National Geographic about 40 years ago, and being amazed. The opening article has it wrong that Pluto/Charon are the only binary planet. Thanks for the insight on the early stages of the mission, especially the detail about asking Pluto’s discoverer for permission. That was great. As is the postage stamp with two words redacted! Once a planet, ALWAYS a planet! At a minimum, Pluto should be a planet as an example of a class of stellar objects. A day late, but Bravo Zulu to Apollo 11, but they were still in-flight. We bought a TV just for the event. And great kudos to the Pluto team! It was about #$% time. Pretty cool the two anniversaries are basically the same few days. The problem is not that such people exist, but there are a sad number of them. *Loved* the altered stamp. When is the USPS going to come out with a with a “corrected” version? Great update, Randy. Well done to all involved! So Michael Minovitch must have been a poofta? Only explanation I can think of for everybody doing an Alan Turing on him. Without his contribution New Horizons / Pluto could not have happened. In the previous edition of “The Hitchhiker’s Guide to the Galaxy”, the entry for Earth was “Harmless”. The later edition updated that entry to “Mostly Harmless”. Man, do I feel like a geek, both for knowing that, and for needing to point it out! We NEED to get out there! New Horizons is not close to the fastest man-made object ever. At 14 KM/s, it is fast, but Helios 2 made it to 70 KM/s, and Juno is expected to hit 74 KM/s. I like the SciShow channel on YouTube, they had an episode on exactly this. Of course, New Horizons is still AMAZINGLY cool! Thor, the newsies want to talk about “Pluto-deniers” because that’s where the ratings are. Conflict, dissent, drama, and angst are guaranteed ways to draw an audience. Neil DeGrasse Tyson said what made America great fifty, sixty years ago was our investment in space exploration and discovery, and getting away from that has been a mistake, that we’ve gone from leading the missions to being invited to take part in other country’s missions. He says if we want to be strong again, we need to re-invest in NASA and science and re-ignite the passion for exploration and discovery, and I’m inclined to agree. We need to fire up our collective imaginations and start dreaming bigger and thinking “What if…?” We need to show kids what’s awesome about the sciences and how what’s out there relates to what they’re learning. We need to create jobs for the un(der)employed. I don’t care if it’s NASA or private businesses that carry out the missions, I just want to see things happen. I don’t see any reason it shouldn’t be NASA, but Congress would rather fund pet projects and porkbarrel than NASA, so it’s likely going to fall to private business. 2.5 MB sent at a rate of 125 bytes/sec. would take over 5 hours, not 20 minutes. According to http://pluto.jhuapl.edu/Mission/Spacecraft/Data-Collection.php the rate now is about 2000 bits/sec., which would be about 250 bytes/sec. There will be some overhead for data packet information and error correction, so the effective 125 bytes/sec. might indeed be the correct (approximate) number. 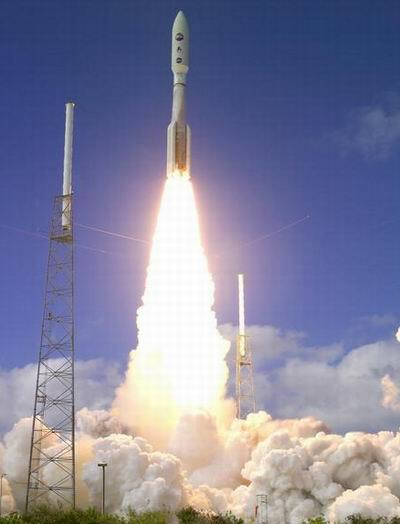 @Patrick: New Horizons had the fastest launch velocity from Earth of any spacecraft. Either way (as stated before), New Horizons is still amazingly cool — and just plain amazing. That manhole cover was indeed probably vaporized by atmospheric friction. But it stayed intact long enough to be captured airborne on a single frame by the high-speed camera covering the blast, so it wasn’t vaporized by the explosion.